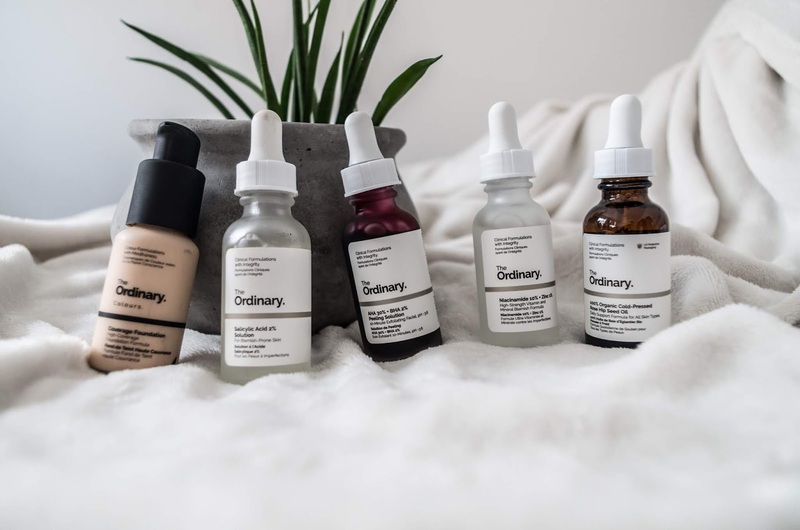 After a very enthusiastic conversation about The Ordinary from Deciem last night, I decided to do a little update on the new bits that I've bought and have been using for a few weeks now! My Glycolic toner is still going strong and I'll definitely be repurchasing that when it runs out, and every thing else has pretty much been depleted now so I did another little shop - I may be addicted to The Ordinary now. 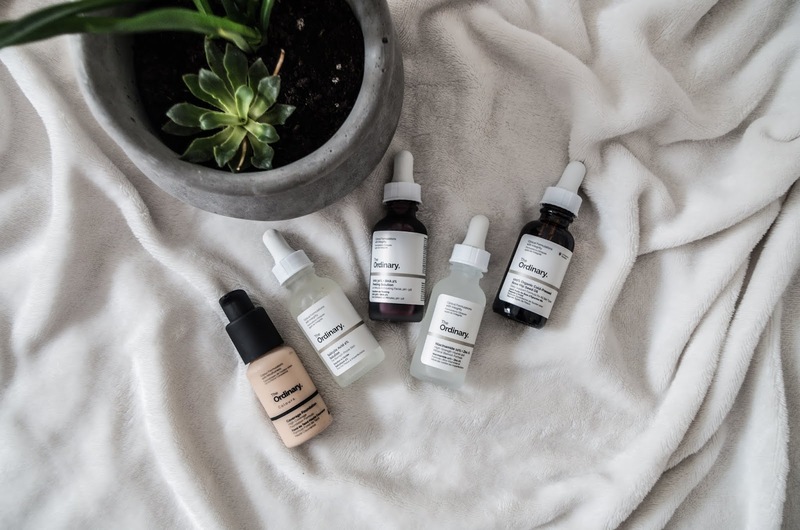 I repurchased the Niacinamide and Zinc, as well as the Rose-Hip Seed Oil as I really found them brilliant. I didn't repurchase the Hyaluronic acid however as I do use some other products with it already in, so I didn't want to overdose! Then, for some new tries, I got the Salicylic acid, which is for blemish and break-out prone skin (like the Niacinamide but I mean I need all the help I can get on that front) and it's been great so far. 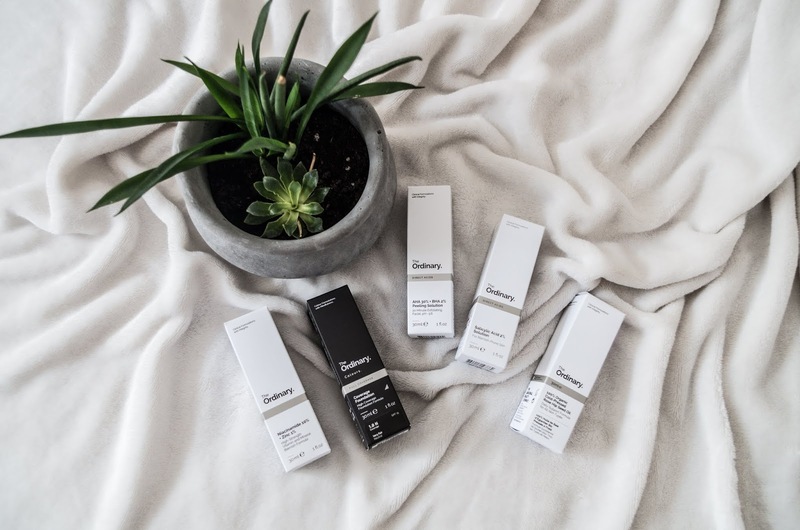 A fear of mine with new skin care products is a mass breakout or reaction and I haven't had anything like that which is a good start! My skin has stayed pretty clear while using it, and you can also use it as a spot treatment on some big bad bumps, or use it lightly all over the face for upkeep, so it's a great all rounder! THEN. Then the AHA + BHA peel. Oh GUYS. I love it. I love a good face mask in general, and a firm favourite of mine is the Vichy Double Glow Peel Mask, and now this one is definitely up there with it! You put a thin layer all over your face and leave it on for 10 minutes and NO MORE cos I think this would definitely burn the face off ya if you did! And then voila. Honestly, you are glowing and clear and revived (skin-wise anyway, I can't speak for the rest of you) - though do be careful with it at this time of year, as you need to avoid the sun for a bit afterwards, and if you do go out in strong sun use you factor 50 (which you should be using everyday anyway but I'm not your mother). I also bought the full coverage foundation to try and have really been liking it. This is the palest shade in the neutral tone (1.0N), and even then it seems to be a little dark/peachy for my skin but I just add in a drop of my lightening drops from The Body Shop and it's perfect! It goes on easily and wears very well, and lasts most of the day if you don't touch your face constantly (a bad habit of mine). So yes, just a little The Ordinary update for you! If you're looking for some new skincare I would 100% recommend it but do some research beforehand, as they are mostly acids there are some that don't react well together or may cancel the other out etc etc etc!